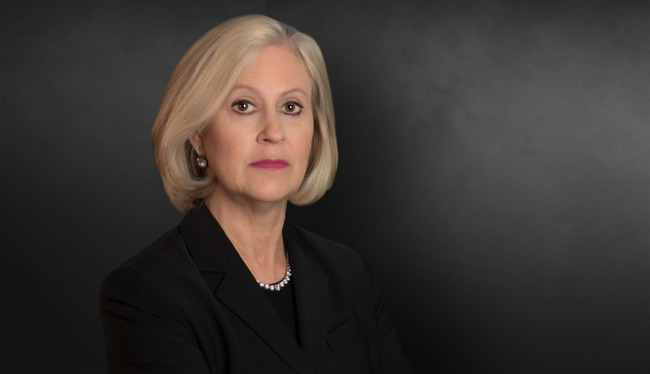 Carol Michel defends clients nationally in high-stakes and catastrophic litigation in State and Federal Courts. Her trials run the gamut from major personal injury and premises liability cases, to nursing home and long-term care, aviation crashes and medical malpractice. Carol is considered the "go-to" attorney by clients in emergency situations requiring immediate advice and counsel to protect their interests. In addition, Healthcare and Aviation are two specific areas in which Carol has developed significant experience and garnered recognition. Selected by The Best Lawyers in America© in Health Care for 2012-2017, she has represented healthcare clients for 20 years. She provides advice and counsel to health care providers and facilities in several states regarding medical staff and credentialing matters. She also represents health care providers before state licensing boards and guides and assists them in responding to licensure actions. Aviation litigation is also a key part of Carol’s practice. She was invited to and became a member of the International Aviation Womens Association. Carol represents aviation clients in disruptive passenger litigation, rotary wing crash litigation and fixed wing aircraft crash litigation. She has been invited and spoken internationally on aviation safety issues at industry sponsored programs in Amsterdam, Netherlands, Istanbul, Turkey and the United Kingdom. Carol was also invited to be a faculty member of the International Association of Defense Counsel Trial Academy at Stanford University. Recognized as the oldest such trial academy in the country, it is highly selective, permitting only trial attorneys with a proven track record as a preeminent trial attorney. Chosen by her firm to serve on its Board of Managers in 2013, she became the first woman, in firm history, to do so. She is admitted to practice in Georgia, Nevada, Mississippi and Colorado; as well as federal courts. Obtained summary judgment for airline arising out of unruly passenger situation where passenger claimed false imprisonment among other claims. Represented world's largest gaming company in catastrophic personal injury litigation, resulting in directed verdict for client. Served as national trial counsel for nursing home facilities in Illinois, Arkansas, Georgia, Texas and Tennessee. Obtained defense verdict for hospital facility in case involving extravasation injury following neuroradiology procedure. Successfully represented large national day care and early learning center provider in numerous cases involving claims of child sexual abuse. Obtained defense verdict in medical device product liability case involving product voluntarily removed from the market by manufacturer. Represents hospital medical staff and physicians in credentialing and medical staff matters. "Hot Topics in Healthcare Legislation," Healthcare Briefings, Fall 2000. “Credentialing Liability in the Managed Care Arena,” Tort and Insurance Law Journal, 1999. "The Dilemma of the Disruptive Passenger," International Cabin Safety Conference, October 24, 2012. "Avoiding Malpractice," American Professional Society on the Abuse of Children, June 30, 2012. "Medical Emergencies in the Pediatric Dental Office," Georgia Academy of Pediatric Dentistry, September 23, 2011. "Expert Witnesses and Litigation," American Professional Society on the Abuse of Children, June 2006 and July 2007. Frequent speaker at seminars on topics ranging from litigation management and trial strategy to risk management, healthcare issues and documentation and record keeping issues.